Today I'm exploring with Starship Captain Jill Wolcott. Jill is an award-winning teacher who combines a wealth of knitting knowledge with a great sense of humor to make her classes both useful and fun. Jill is always thinking about knitted garments, how they fit, and how to guide knitters toward a successful knitting experience. She recently published an ebook of knitting designs: The Goddess Collection. I don't really have a “go with the flow” life. Weekdays I get up at 6:30, make coffee, tidy up, look at email and Evernote (my assistant works from her home), shower, then hit my office. My office day is spent working on patterns, marketing, administrative things, book projects, creating classes and class materials, and whatever is on my list. It almost never includes knitting. The closest I get to knitting is picking up needles to figure out how I can better explain how to do a technique or maneuver. I do a lot of editing, drafting, redrafting, initial charting, and a lot of grading sizes. On Wednesdays I leave my office about 10:30 and go downtown to teach at the Fashion Institute of Design and Merchandising. I'm usually pretty tired at the end of six hours there, but I am a favorite instructor and have been given an outstanding faculty award 11 times in the 14 years I've taught there. I do volunteer work for TNNA and am part of the Starship and Cat Bordhi's Visionary Authors group. I also have an elderly mother and we do things on Thursdays and Fridays when I can get away. She is a long-time knitter so is always interested in what I am working on. Wendy works with me from Pittsburgh, PA. She is like the third lobe of my brain and is beginning to take on more pieces of my day-to-day work so that I can explore more, create more, do more. I would be lost without her. I have another assistant who comes into my office twice a week and does hands on things–from winding yarn to finishing work on projects. She does shipping, tracking, and entering things into my bookkeeping software. Again, without her help I would surely be buried in my own mess. Most of my samples are knit by paid knitters. They are a brave lot who embark on projects that are often still in process. They must be my eyes as I am not seeing what is happening except through weekly photos. I have someone who works as a project manager to keep the knitters on track–and make sure I answer questions and address problems. I have a tech editor who works per hour. She has a wonderfully detailed brain and asks me lots of questions to make sure my work is clear. I also have a copy editor who works on my longer work. She is primarily looking for consistency and continuity. Both are knitters who understand why I like to take a different approach in presenting my patterns. I knit after I quit work in my office. I cook dinner most nights, and I knit afterwards until I go to bed. I am not usually knitting samples; I am either working on new design ideas or making a second sample or one of my designs for me to wear. I make the final sample myself only if there is a quick deadline or if it is a small item. We've found that I am not reliable at finding problems in the patterns, so it isn't usually a good place for me to put my knitting energy. All my knitting is related to my business and I have no time to knit any one else's patterns, but I do love to knit. Weekends are often where I find time to follow new ideas or do things I want to do but don't need to do. I have a wonderful husband who likes to spend time with me–some of it without knitting needles in my hands. We go to a fair number of jazz and world music performances, plays, and author/artist lectures. We both read a lot, although knitting cuts into my reading time! As mentioned above, I teach to make money. It is the only reliable money source I have. I am working on making it possible to offer classes via video with live check-ins so that I can continue to teach those classes online without it being a live performance. This will make it easier for people to fit it into their schedules too. Right now those classes are for knitwear designers of any stripe. 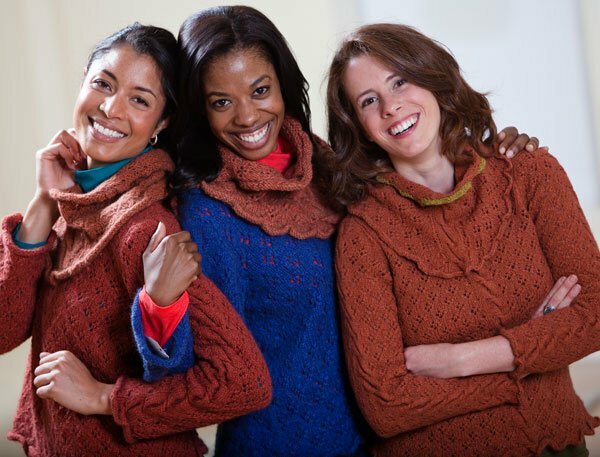 I hope to have classes for knitters in 2014 as well. I do not teach at retail knitting shows right now because I simply do not have time. I do some limited work for magazines, and sometimes do consulting work. I don't think the work of a designer has changed much over the years. With Tara's help I am finding the courage to do what I believe I want to put out into the world, even though it is a little different. I have just launched what I call Studio Space. This is a subscription program to invite knitters to share their knitting time with me and other committed knitters. I have framed my first offering around my Goddess Collection, but I think this will end up being the beginning of the program, and not our sole focus. My other new thing is eBook pattern collections, and online classes. I want to write books too, but need to get some of these other wheels turning more effectively to allow that to happen. For my business to be successful I need to balance expenses and income, but that isn't the whole picture for me. I would like some recognition for my skills and talents, but primarily I would like to know that I am helping knitters find pleasure and satisfaction in the actual making of knitted things. I would like to be able to make a living too! 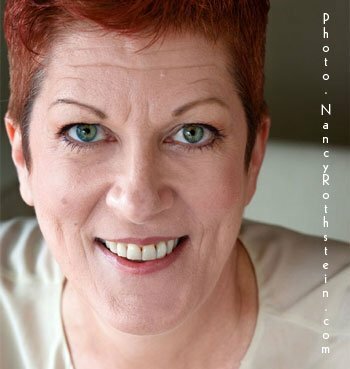 Jill Wolcott Knits Studio and mastery of marketing! Thanks so much for sharing your workday and adventure with us, Jill! Jill's a Captain in the Starship. You can meet more Captains + learn if it's right for your adventure when you sign up for the free mini-course here. “I find great resources among the other Starship members, and I really love having the weekly accountability (if you want it) of telling someone what I’m doing. This is making a ton of difference in how I get my work done, how I value it, and how I prioritize my time. Testing new commenting system on my site….